My friend Punkangel is holding a giveaway on her blog. View the post here. This is what you can win. The cupcake is a manicure set and the panda is a cute lip balm. 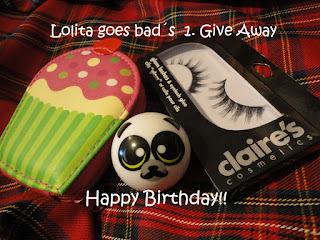 To enter the giveaway you have to follow her blog and leave a comment with your email address at the original blog post.